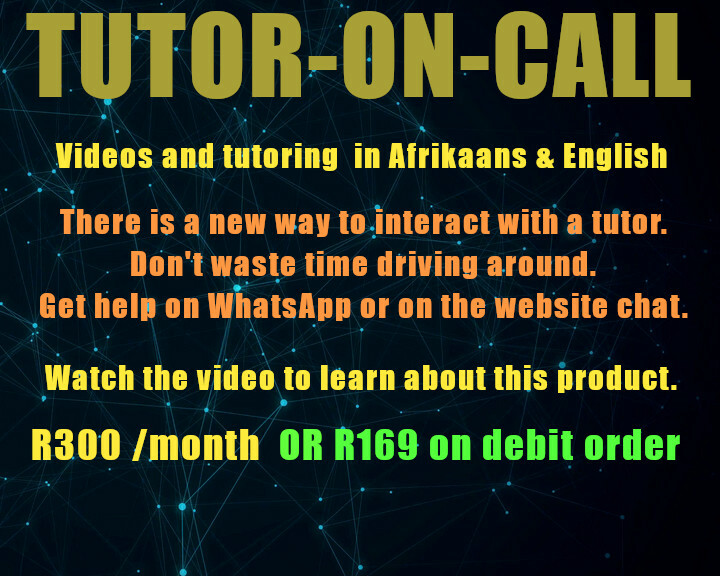 Tutor-On-Call gives you access to a professional tutor, with the best Maths explanation videos in South Africa. You communicate with the tutor on WhatsApp, so you can chat to him while you are doing homework. The tutor service is available on weekdays from 07:00 to 21:00. We have enough videos to get you through the grade you are in. Easily! 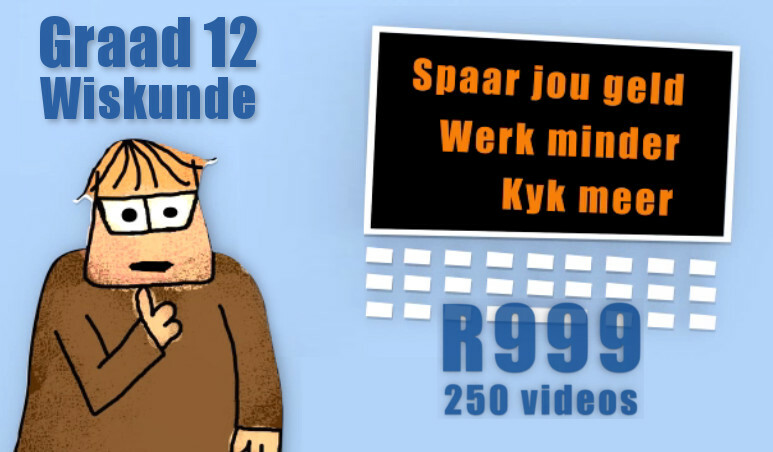 If you don't want to chat to the Maths tutor, simply start watching our videos for 15 minutes every day. Search our database of hundreds of videos, or simply tell the tutor what you are struggling with to receive jumpcodes (shortcuts) to relevant videos. We can offer you a special price of R169 if you commit to a monthly debit order of R 169.
if you struggle to log in. This is an example of how different types of content are displayed in an item. Videos contain voice overs and on-screen notes. Leerders kan vrae beantwoord op ons aanlynstelsel. Vrae word outomaties gemerk. Schools, teachers and parents receive extensive reports with links to remedial materials. Professional, clear layouts to engage learners.